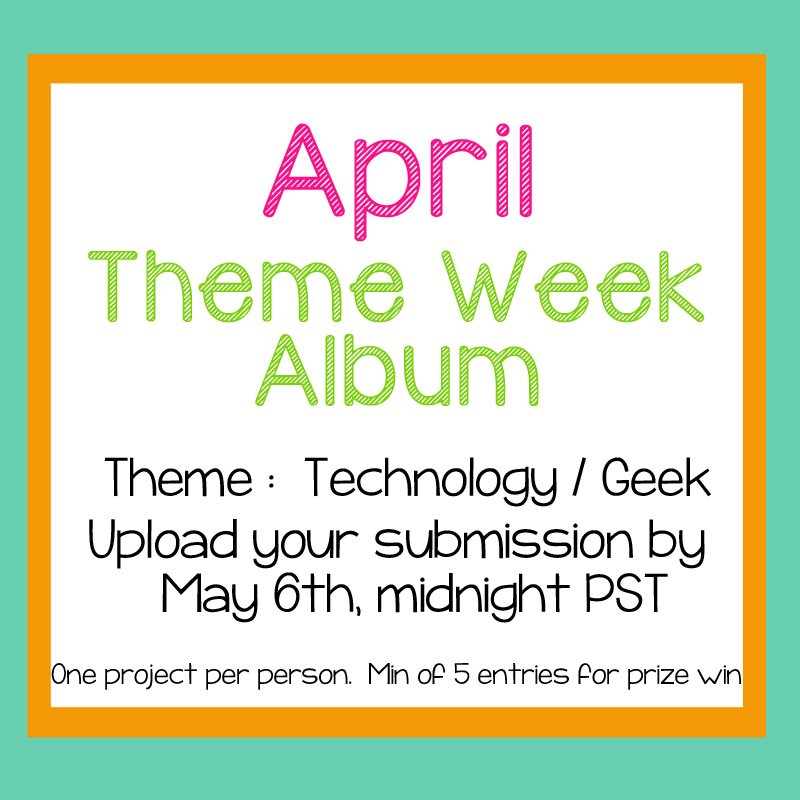 So here we go for April's Theme Week! I used more of the Oliver paper pad that I've been hoarding from Basic Grey and I really LOVE this paper and how it's so fun and masculine. It's totally perfect for all of these boy cards that I seem to be making lately! I really hope you love my card today! 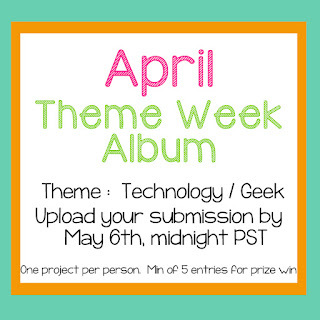 Make ANY project using technology/ geeky/ trending!!! Stamp Anniething: Scoops of Love Just for You! I'm back with another card I created for Stamp Anniething! For this week's card I'm featuring Diana - Here's the Scoop and isn't she so cute?! So I decided to keep my colors very light with this card and used some patterned paper I had in my stash (I believe it's from American Crafts.). I also colored Diana up with my Copics and created the cloudy background with my Distress Inks. Super duper simple, I swear! Stamp Anniething April New Release Day #3: Megan - Hey Cupcake! I thought I would be good and use more of my patterned paper I had in my stash, so I can't really figure out where this paper came from (I'm guessing My Mind's Eye - really old MME). I colored her up with my Copics and used the "hey cupcake" sentiment included in the stamp set. It really does complete the cupcake-themed card! Stamp Anniething April New Release Day #2: Felicity - What's Cooking? I just love this little image with her mixing bowl! The sentiment that comes with it is so perfect too, don't you think? I used more of my Jillibean Soup patterned paper I had leftover in my stash and added a few enamel dots for texture and voila! I have my card! I hope you like what I created for you today! Stamp Anniething April New Release Day #1: Liberty - Sweetie Pie! 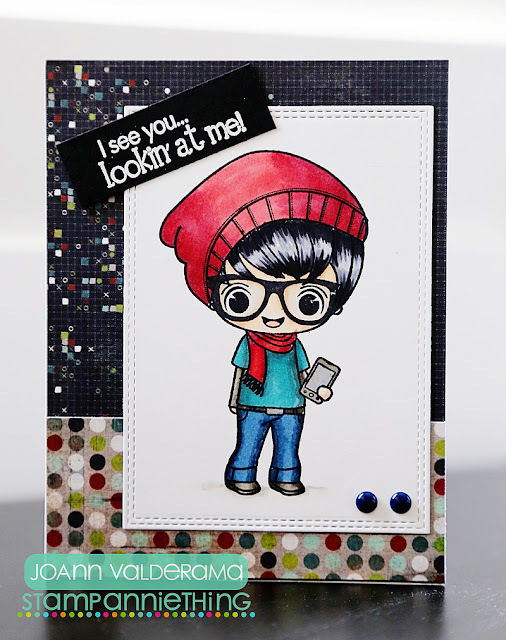 Hi and welcome to Day #1 of Stamp Anniething's April release! Liberty will be available in the store Friday along with the other 2 stamps we will be showing you this week!! Isn't she so cute?! And who can't resist PIE?! I created this card using some Jillibean Soup patterned paper and colored her with Copics to match. The inside sentiment can be stamped with a birthday greeting, a Thank You greeting, or even just a hello greeting! Hope you like what I created for you today!